Digging into the archives here at 1967beetle.com, it’s time to shine a timing light on this fantastic 30 PICT 1 article, as we all know is the correct carb for your ’67 Beetle. A huge thanks to Jay Salser for all he does for 1967beetle.com. I have been driving and working on ’67 Beetles for over 37 years. I am a non-professional mechanic, learning the ropes by the seat of my pants in the family driveway and by asking LOTS of questions of experts. Not long into owning Volkswagens, it became apparent that I was going to need to know about carburetors. My VW mechanic, at the time, was obliging, telling me some tricks of the trade. By this time of life (I’m now 74) I thought that I knew the 30 Pict-1 inside and out, by heart, and could work on them in the dark. But……. That “but” caught me way off-guard. It caught some other people off-guard, as well. Here’s how it happened. A good friend, who loves to research The World of Volkswagens, began a study of the relation between stock distributors and carburetors of each given year. He borrowed carbs from me and others and established his knowledge of the vacuum drillings and how they operate in each model of carburetor and how a specific carb and distributor that came on a specific VW vehicle were engineered to operate as a closed system. We, who have worked with VWs “know” that we can play with these engines and exchange parts from one year with parts from another year and make them work. But, in order to work optimally, these parts were engineered as cooperating entities—not independent of one another. And so, I was brought up short when my friend announced to me that there were two versions of the 30 Pict-1 carb for USA import Beetles. I even argued the point. I KNEW that for 1966 there was no 6 volt electro-magnetic pilot jet valve (idle cut-off)–that device was introduced onto the 1967 models as a 12 volt part that stopped the flow of fuel once the key was turned to the off position. It is rather an anti-dieseling device. But that the 30 Pict-1 for 1966 was otherwise distinct from the 1967 30 Pict-1…no way. Based upon this new information, I dug through my supplies of carbs until I found and separated those from 1966 (1300 engines) and those from the 1967 1500 engines (note that I am speaking about vehicles specifically exported from Germany into the USA through dealerships). And because we of 1967Beetle.com are concerned with Beetles, and, specifically 1967 Beetles, my comparisons will be limited to the ’66 and ’67 Beetle versions of the 30 Pict-1 carburetors. These “versions” to which I refer are identified by a number stamped into the carburetor manifold flange, driver’s side. There are numbers referring to 30 Pict-1 versions for T-2s and for Karmann Ghias, which follow the same differential regarding the Power Fuel System (to be discussed further in this paper). Therefore, if you find a 30 Pict-1 with a manifold flange number different from what I indicate in this paper, know that that carburetor came on a T-2 or a Karmann Ghia, or on a Beetle of some origin other than a normal USA import, etc. That’s a complicated discussion for some other venue. Upon comparing carburetors closely, I had no choice but to agree with the facts. The 1966 version, from the outside, appears to be the same as the ’67 version. The bodies are cast identically. However, upon closer inspection, one can see that there is a drilling that is not continuous in the ’66 version, whereas the drilling in the ’67 version IS continuous and contributes to what is called the “Power Fuel System”. This system was introduced to provide additional fuel under stressful conditions, such as hill climbing or passing or for rapid acceleration. It is vacuum activated. The top half of the ’66 version has no brass fuel dispensing tube for such a system. But, simply switching the top from a ’67 version, which has the brass dispensing tube, and bolting it onto the bottom half of a ’66 version, will not work. This is because, although the casting is present in the ’66 version, it is not drilled through to the bowl—the source of the fuel to be dispensed. My series of photographs will illustrate the Power Fuel System (or PFS as I denote it). 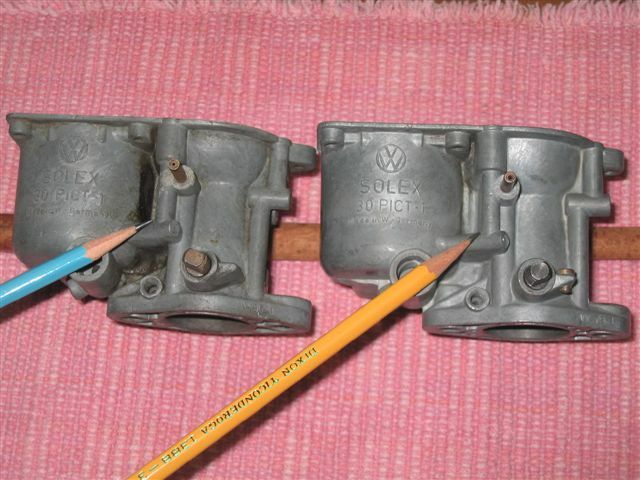 In the illustrations, the carburetor on the left will be the ’66 version and the one on the right, the ’67 version. Illustration #1 pictures both German Solex 30 Pict-1 versions. 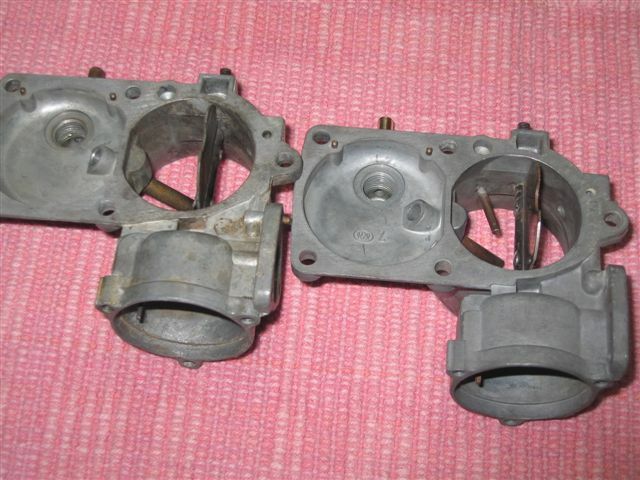 The non-PFS ’66 version, on the left, is stamped “VW 83-1” on the manifold flange. The ’67 version, on the right, is stamped “VW 105-1” on the manifold flange. Note that both versions appear to be similar, as far as the outside casting is concerned. 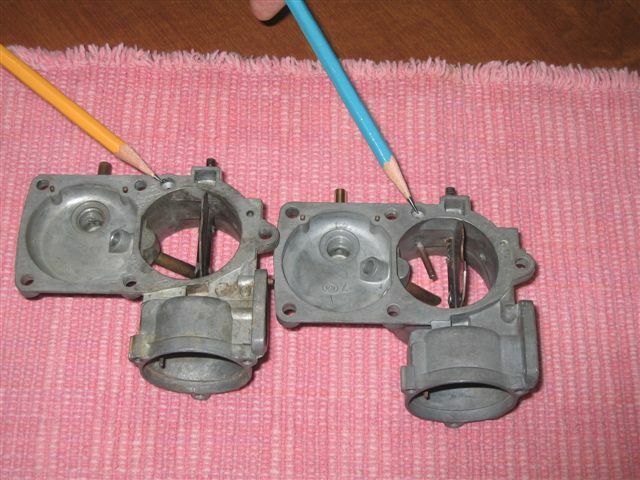 Illustration #2 shows both carburetor top halves from a top view, clearing showing the lack of the PFS dispensing tube in the ’66 version (left) and its presence in the ’67 version (right). Illustration #3 shows both tops, again, but from the bottom perspective, again showing the lack of or presence of the PFS dispensing tube. Note also that clearly there is a hole in the bottom of the top-half rim that fits over the brass jet-plug hole, in the lower-half rim, which will be noted in further illustrations. 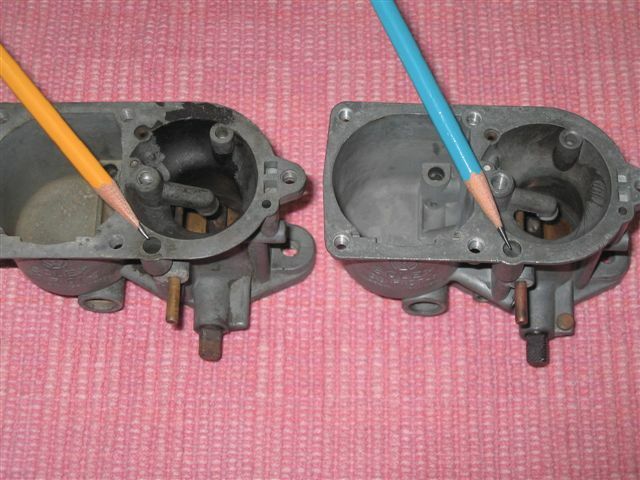 Illustration #4 shows identical drillings in both carburetor top halves but, again, no dispensing tube in the ’66 version (left). The drilling in the ’67 version (right) matches its dispensing tube. Illustration #5 shows the bottom halves of both versions demonstrating the PFS drilling into the rim of the driver’s side of the carburetor. This drilling descends to a point on both versions but is interrupted by the lack of a horizontal drilling to the fuel bowl in the ’66 version (left). Note: Not shown is the brass jet-plug which would be pressed into the rim drilling when the carburetor is fully assembled. Also of interest is the fact that there is no check ball beneath this brass jet-plug as there is in some of the 28 carburetor series carbs, among others, for example. Illustration #6 shows the driver’s side of the bottom halves of both versions. 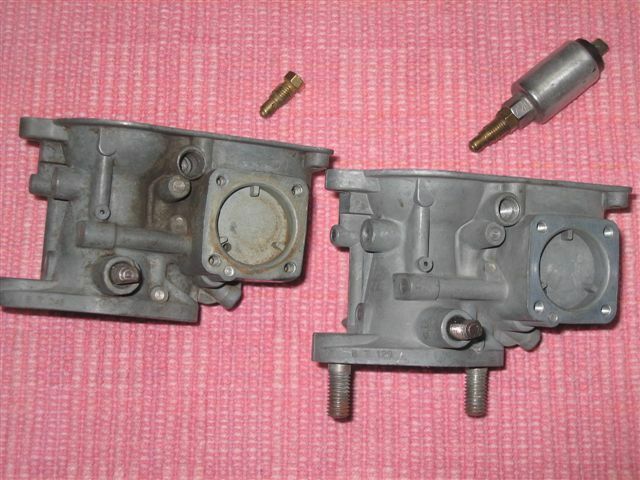 The casting is identical, making both carburetors to appear to be identical units. Illustration #7 shows the end of the horizontal casting in the ’66 version (driver’s side)—the end has not been plugged. This means that it has not been drilled, then had the end plugged. Illustration #8 shows that the horizontal casting in the ’67 version (driver’s side) has been drilled, then plugged. Note the tiny, shiny plug. Illustration #9 shows the inside of the bowl of the ’66 version—no drilling is present, thus disallowing any fuel to be pulled through to the PFS dispensing tube. Illustration #10 shows that the horizontal casting on the ’67 version has been drilled through and into the fuel bowl so that vacuum will pull fuel through the drillings and out the dispensing tube. 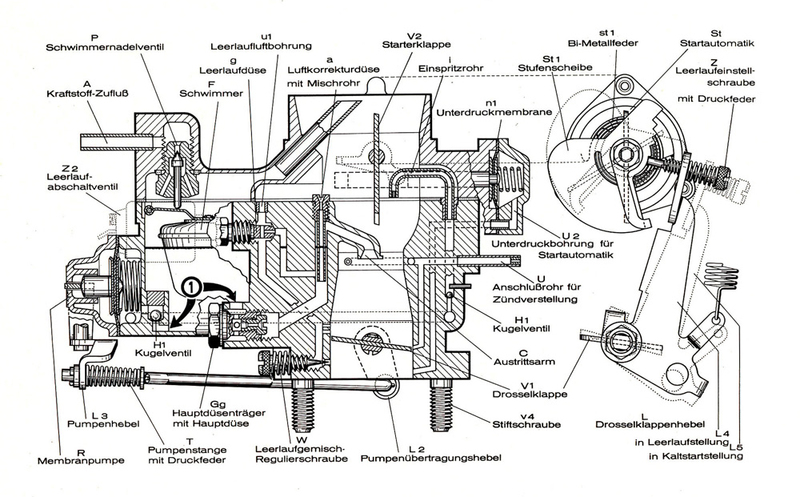 Illustration #11 shows the ’66 version carburetor bottom half (left) with the Brass Jet on the passenger side of the carb, and the ’67 version (right) with the Electro-magnetic, 12 volt, Pilot Jet Valve (idle cut-off). Of course, Volkswagen trained and certified specialists knew of all of these differences and didn’t switch carburetors from one car to another unwittingly. Nor did they mismatch tops and bottoms. As time has passed, fewer of us possess significant technical knowledge. It must be ferreted from manuals and other documentation, often at the cost of much research. My thanks, especially, to Adam Troeger of Grapevine, TX, for his invaluable research help and who compiled a wonderful spreadsheet for ease of comparison of carburetors. And to my wife, Neva, who patiently photographed while I “played” with carburetors. TheSamba and to Andy T. who compiled data from several sources. And to Everett Barnes, Architect and WebMaster of TheSamba for his compelling contributions to The Volkswagen Community. My wife, Neva, and I have been driving and working on VWs for over 41 years. In fact, we raised our family in these cars. Now, we are retired and enjoy VWs as a hobby. The ’67 Beetle always has been our favorite year. We own a '67 Beetle and a '68 Karmann Ghia. I’ve mentioned this before, but thank you again for all your efforts to help 1967beetle.com grow. Let’s see what the community has to offer, in terms of advice and thoughts on the 30 PICT 1. Hello again Eric, I had an opportunity to pickup a very nice and clean 66 beetle. Super nice. Besides the engines (1300-1500) and carbs was there any other significant differences between the 66 and the 67 beetle? Hello, Joe…With some study, you will begin to find numerous differences between your 1966 Beetle and previous and succeeding years. Thank you Jay for your vast knowledge on the carbs. I am also in my 70’s and haven’t worked on my 1967 engine in many years and want to buy a new carb. Here is my question. You mention the number codes on the flange. My carb has the PFS tube, but the flange is marked “R 6 157”, not “VW 105 1”. Any comment on this? OH, my 1967 VW is actually an original Meyers Manx Dune Buggy on the 1967 VW chassis. Thanks again for your knowledge. Thanks Jay for responding so quickly. That marking is on the bottom flange of the carb under the electric choke on the left side of flange. The carb is marked Solex 30 Pict on the side of the float bowl. I’ve had my Manx for 41.5 years. I traded a rough 1952 CJ-3A for it in January of 1975. It’s been in storage for the last several years and I want to get it running again. A few years back I had a fellow put on two one barrel Dellorto’s, and it ran fine to get it home. Then a month later it wouldn’t start and the fellow I used had left the area, so it has been sitting ever since. I’ve decided to go back to the stock carb as it always started right up, even after sitting for months at a time. I want to buy a new carb, as the one I have is the original. Mystery solved. I scraped off some light dirt on the opposite side, and found “VW 75 1” very lightly stamped into the flange. I didn’t think there was anything there as the dirt was light and completely smooth. So, It appears to be a 1966 carb. My engine is a 12 volt set up and it was registered as a 1967 VW. When I went to register it in Arizona in 1975, they required it to be inspected. In so doing, I had to register it as a “1975 Reconstructed Vehicle”. Thanks again Jay. I have e-mailed Eric Shoemaker regarding rebuilt carbs. I sent it to eric@1967beetle.com, it that correct? Also, is 1967beetle.com a site that one can join? If so, how does one join, as I can’t find anything on the site to do so. Thank you Jay for the time and knowledge! I did notice that. However, the purist in me kept my mouth shut. Thanks Jay for all your hard work, making it so much easier for us. This is over-the-top cool! Thanks, Jay, for all the details and to Neva for the great pictures. I thoroughly enjoyed your article and precise style of writing! Wow great write up! Lots of info, I learned something I didn’t know. 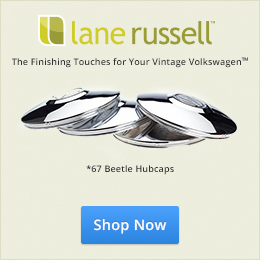 This is a great forum for our ’67 Volkswagens. I have to see exactly what carb I’m running. Whoa…………….more information than I can handle. I just trust Ed Fall At Vintage Werks to keep me going. Now there is a quality guy with a ton of integrity. Thanks all! Jay really did a great job with this one. Go, Jay! Jeff, so you can put a 1967 pic 30 pict on 1966 bug ?but not vise a versa ? It IS possible to run the ’66 version on a ’67 Bug. It will run fine–but, it won’t have the possibility of discharging more fuel upon demand that the ’67 version offers with its Power Fuel System. My pic 30 saids vw-75 on the flange. What year is that ? Another very interesting and certainly useful article from Jay. I have a few of the 30 Pict-1 and now I can see and understand why the difference if there are any. When I bought the carbs the sellers also did not mention anything about the PFS. Perhaps they too were unaware of this. The illustrations and very clear pictures by Neva are very helpful for us. Thank you Jay for sharing your knowledge posting in the 67beetle.com. Keep up the good work. We definitely has benefitted from your article. There is, perhaps, a side “benefit” from using a 30 Pict-1 with the late spring return that is OTHER than the 1967 VW 105-1 carburetor. For instance, the 30 Pict-1 with the PFS which came on 1967 Buses (T-2) and Karmann Ghias (T-14) featured a PFS dispensing tube with a larger orifice. Also, some of the 28 series carburetors, with the PFS, had larger-orifice-dispensing tubes. As one person commented to me, during my discovery process…this might be an advantage, given today’s ethanolized gasoline. More gasoline upon demand than the VW 105-1 could dispense. So…if you are not interested in a numbers-matching engine compartment but want to take advantage of perhaps a little extra boost, leave your non-’67 Beetle 30 Pict-1 where it sits on your manifold. This is fantastic information. Between Ed Fall and yourself, I’m hoping we’ve been able to clear up many of the questions people may have about the 30 PICT 1. Wow… That is GREAT info. Seriously useful info for most of us playing with out 67s. And an extra bit of performance if we are using the wrong model. Thanks guys. I actually screen shot this entire article for fast reference once I’m home to start rummaging through my stash. Ha… I knew I’d be needing this info. I’m now smarter and saved to home screen, the whole articles I need. Meaning all….lol, saves the photo storage. Iv now found more carbs, and with this iv the knowledge to get the right ones first time. Thanks again guys… All great stuff. I’ve recently got a 30 pict 1 as a replacement for a 1300 DP engine. My other beetle has a 34 Pict 3 and I know how to tune that, can anyone recommend a good place to look or method to correctly adjust the 30 pict 1? Give this a read, while we are doing some research for you. Hello, Mark…First let’s talk a minute about your carburetor. The 30 Pict-1 Series is an efficient and simple carburetor. I have used them for many years with great results. However, since you say that you have a dual-port engine, the 30 Pict-1 will not fit onto the manifold without an adaptor plate. The 30 Pict-1 is not suited for a dual-port engine. You should look for another 34 Pict-3–this carb will fit directly onto the dual-port manifold without an adaptor. Thanks for responding. The Engine I have is a 1973 Twin-port 1300 AB code engine. It has been stored, unused for a long period. 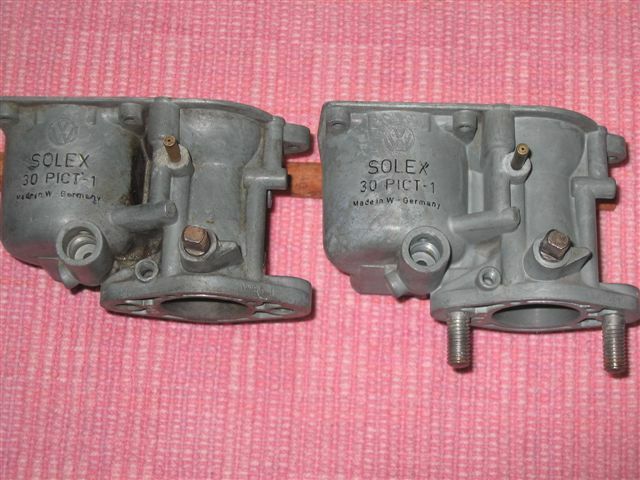 The Carb I am replacing is the original solex, a 31 pict 3, this is the same throat diameter as the 30 carbs. I understood the 34 picts fit the wider throated 1600 twin ports. Hello, again, mark…You must live other than in the USA. This was unclear in your original message. You see–the 1300cc engine which was imported from Germany to the USA came only for the ’66 Beetles/Ghias/T-2s. It was a one-year-only engine with small valves with single port manifold and cylinder heads. I am completely unfamiliar with the 1300 “twin-port” engines. We never have seen a 31 Pict-3 carburetor here–only the 30 Pict 1, 2 and 3s. My chart shows these as “non-USA only” carburetors. I cannot comment on their functions as compared with the 30 Pict-1 carbs. The choke can be set so that the choke plate is loosely closing–and not all of the way. In other words…do not set the choke so tight that it is slammed shut. You don’t want to wait for 5 minutes for it to open. Be sure that the wire to the choke element is securely fastened. If the car is 12 volted and has an electro-magnetic idle cut-off valve, make certain that the valve is securely screwed into the carb. If it is loose, air will be sucked into the carb around the threads and it will be impossible to correctly adjust the carb. 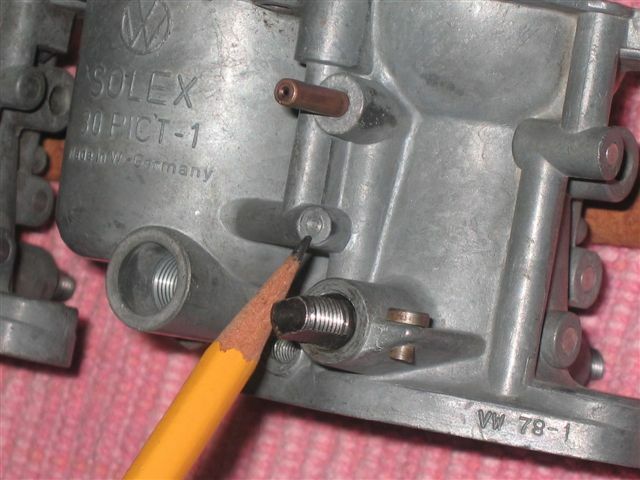 Be sure that the wire to the cut-off valve is securely connected. If your car does not have the cut-off valve–skip this step. There is only one screw on the driver’s side of the carb. Screw this screw completely into the carb. Don’t screw it hard–just so that it seats. Now, back it out 1-1/2 turns. This will allow the carb to run, although it prob. will need further adjusting. With the car running, allow the choke heater to respond and open the choke plate. Now, you can adjust the screw mentioned above. Turn clockwise VERY slowly in until you hear the engine begin to slow. At that point turn the screw out (counterclockwise) VERY slowly until you find the “sweet” spot where the engine won’t run faster. Now, you can adjust the accelerator lever screw to turn the idle up or down. I listen to my engines and turn it according to “my ear”. I don’t want too fast or too slow. At operating temperature, it should run nice and smoothly but not fast. 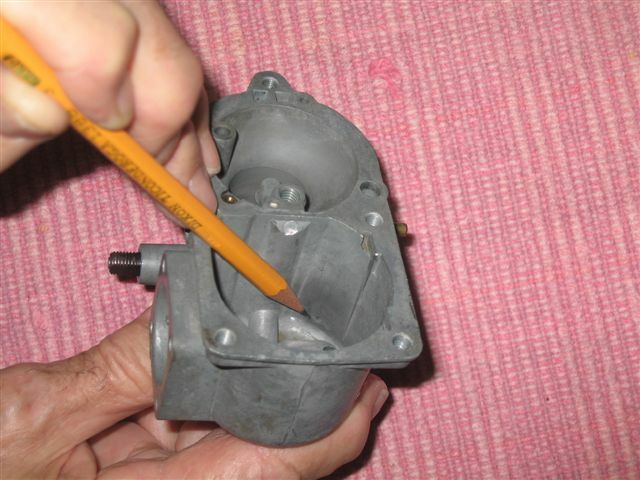 If your carb is old, you should check to see if the throttle shaft orifice has worn into an eliptical shape. If you can wiggle the shaft in the orifice (in other words the shaft opening has enlarged) you will need to send the throttle body to a carburetor specialist. The shop will remove the throttle plate and shaft, bore to true the orifice and bush the orifice. The new bushings will be bored to match the steel shaft. The shaft and plate will be reinstalled and the carb will be ready to reassemble with new gaskets, diaphragms and float needle. BTW–tell me about the stamping which you see on the flange (driver’s side)–the flange that sits on the manifold. I hope that this helps. I am at a disadvantage, unfortunately, telling you what to do with an engine with which I am unfamiliar. Thanks for coming back to me, you’re right, I’m in the UK so a non US vehicle. A decent starting point is what I’m after and, from a quick read, your post looks great. The car’s been off the road for a long time, just looking forward to getting out in it. The help is much appreciated. Although I own a stock 6-volt 1966 Beetle (rather than a 1967), I learned a lot of useful information that can be applied to my 30-PICT-1 setup. Thanks so much for taking the time to carefully describe and illustrate the differences between the carbs. Hey I loved the article and as a newbe to VW carbs I already learned a bunch. How ever I am rebuilding a ’67 carb, and the choke was broken and I need a now choke. Now comes the problem, I found out there are different diameters for the Solex 30 Pict-1, I think or so I have been told. They tell me the smaller one is a 6 volt which they don’t make anymore. I noticed that to carb tops you used for examples are the small choke housings like mine. Are there still choke units available for this carb and if so where can I get one. Thanks again for the article. Jim. I’ll be right back with some info. Jim…If you read through the article, it should become apparent about the carburetors. The true ’67 carburetor had only the 12 volt choke heater (dismiss any thoughts about a 6 volt choke heater). Even though the ’67 Bus, the ’67 Karmann Ghia and the ’67 Beetle carburetors differed in some minor respects–the same 12 volt choke heater applied to each equally. No difference in the choke heaters. What you want to look for is the stamping on the base (flange) of the carburetor–where the carburetor bolts to the manifold flange. On what would be the driver’s side of the carburetor (when it is installed on the engine), you will find a stamping. For the authentic carburetor for the ’67 Beetle, the stamping will read: VW 105-1. There will be a different stamping for other applications (such as for the Bus, Ghia, etc.). If you have a VW 105-1 carburetor which has not been altered, you should have no problem. 12 volt choke heaters are available used (see http://www.thesamba.com) and new…see any number of Online retailers. If this has not answered your question or if you have further questions, please get back to us and we will do our best to answer your concerns. Thanks for contacting us! Thanks for jumping in on that one. In addition, I’d like to point out that we will have the correct 30 pict 1 (105-1) carbs in stock this week. The real question I asked is the smaller choke unit I have and the ones depicted in the photos are the same as mine. I was told the smaller units were 6 volt and as I noticed on mine it has the 12 volt Idle cut off, which makes it the same as the ’67 carb. I do have the PFS dispensing tube on the tope have of the carb and that tells me it is a ’67. My question is can I still get a new choke unit for this carb. If so what is the part number, and where can I find it. Now that it is determined that mine is a 12 volt ’67 carb. Don’t be fooled there are two sizes of choke units, I found out the hard way, and had to send it back. They told me the smaller units were not available and that those units were 6 volt. I am still confused, and I must find out. Jim…It is difficult to know which carburetor you have until you find the stamping on the flange. If it is the correct one for the ’67 Beetle, it will read VW 105-1. I encourage you to look for that stamping first. Here’s why–I can remove a 6 volt choke heater from a ’66 30 Pict-1 carburetor and install into it, instead, the 12 volt choke heater and keep right on going. The ’66 carb isn’t a “6 volt carburetor” per se. It’s whatever electrical you install into it. I cannot say why someone sold you a “small” choke heater. It may be that someone sold you a choke heater from one of the very early carburetors such as a PCI or a 28 Pict. I don’t know. One other thing I must tell you. Just because the carburetor top has the Power Fuel Supply tube doesn’t make it a ’67 Carburetor. The 28 series of carburetors also has that feature. Please read my article on 1967beetle.com and follow the sequence of explanations and photos. There is more to the Power Fuel Supply system than just that tube. Be sure to look for the stamping on the flange. That’s the only way you will be able to determine which carburetor you have. People switch parts on these puppies all the time. Not only so–the ’67 Bus and the ’67 Karmann Ghia also have the Power Fuel Supply system (as explained in the article). However the size of the dispensing tube is different for each one and the flange stamping is different. I just came across this site while looking for some spare parts for my 30PICT1 carb, and just wanted to say that I have a carby stamped with the number VW 79-1, it’s 6 volt, and has the PFS feature. It’s from a 67 1500 engine (Australian model Kombi). Interesting. All allow my partner Jay Salser to comment. Thanks for visiting us! Hello, Alan…Thank you for weighing in on the carburetor issues. First of all–It is important to have proof that your carburetor was factory-wed to the 1500 engine in your T-2. Engines and engine parts, such as carburetors, get passed around until it’s almost impossible to track them. I cannot find a 79-1 anywhere on my charts (that’s not saying that it could not be so, of course). I do see a 77 and a 78. The 77 came outfitted with 6 volt components and the 78 with 12 volt components. Both were fitted onto ’65 T-2s. It is possible that the 79 (which is missing on my charts) may fit into the scheme of things for the ’66 and ’67 T-2s. Nevertheless…since we of 1967beetle.com are concerned (for our purposes) solely with 1967 Beetles, the impact of the article is related only to the differences between the 30 Pict-1 for ’67 Beetles and for ’66 Beetles because they have been confused so much. I made a statement in my article saying that it would take much investigation to determine the differences for carburetors for Karmann Ghias, T-2s and Beetles both in the USA and abroad. Differences abounded! Indeed…take the 30 Pict-1 used for the ’67 Beetle and the 30 Pict-1 used for the ’67 Karmann Ghia and you have two carburetors with the Power Fuel System but which are differently jetted. It remains consistent that for the 1967 Beetle destined for consumption for the USA market, only the VW 105-1 was the carburetor of choice. Thank you for the replies Eric & Jay. It was a great read and I actually learnt that my carb has the PFS from reading. Being new to VW, it seems like I’ve got a lot of learning ahead of me. We offer the 30 pict 1 carb. Restored German. You could always replace the choke to 6V. Yes. We do stock them. Hello, i am Mark and i am from Belgium. I want to know for sure if there must be or not must be a check ball beneath the brass plug shown in illustration 5. I am talking about the one with the PFS. Hello! Let us do some quick research. Back shortly. So i have 3 check balls. 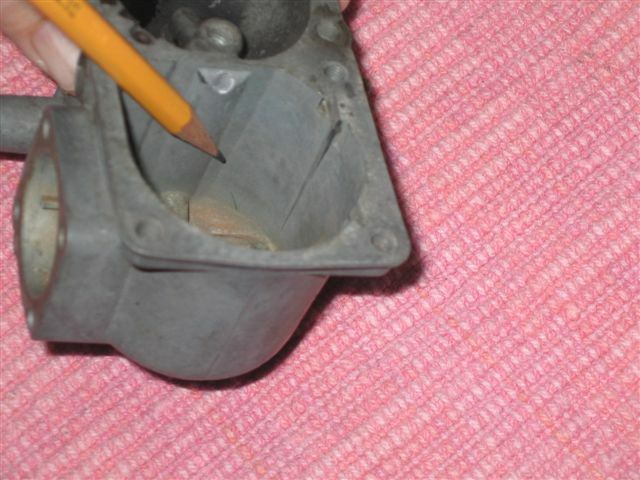 One in the bottom of the fuel bowl , one under the brass jet- plug wich would be pressed into the rim drilling when the carburetor is fully assembled. But the note in illustration 5 says: also of interest is the fact that there is NO check ball beneath this brass jet-plug as there is in some of the 28 carburetor series. And one little tiny one on the passenger side of the carb. So i just want to know if the check ball under the brass jet-plug who leads to the pfs dispensing tube is necessary. If so, i thus have 3 check balls. Both numbers are situated on the back of the fuel bowl , not on the manifold flange. Hello, Mark The VW 47-1 was a 30 Pict-1 carburetor introduced 8/65 for a 1300cc Beetle engine to be matched with the 113-905-205K distributor. It had a 125 Main Jet with an Air Correction Jet size of 125z. It had NO check ball in the PFS. 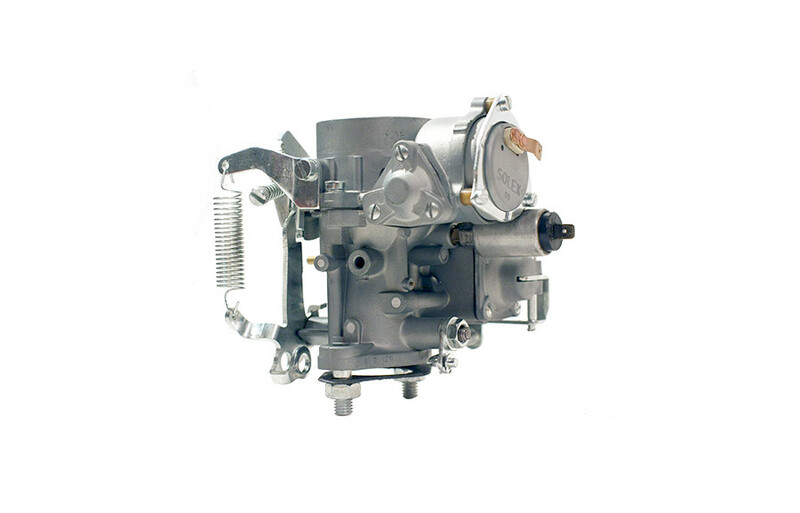 This carburetor used the early-style throttle return spring (tube with spring inside). Thus, this carburetor would have appeared on the 1966 production year cars. Great article, Jay. Eric … it would be nice if there was a “print” option for articles like this. I agree. 1967beetle.com is such an amazing resource. ;). Gary HAS commented on how demanding I am. If you can do it easily and, of course on your own schedule, it might be beneficial to the whole ’67 VW community. You, Jay and the other contributors do such amazing work and I’m very grateful. This is Andy T. “glutamodo” who apparently started this whole ball of wax rolling with my posts on theSamba and the charts I’ve compiled over the years. Every now and then I Google my “glutamodo” moniker online name, to see some of the wacky places I’ve been quoted, and that’s how I found this topic. I will note that I have seen 1966 “non-power-fuel-system” carburetors that still had the drillings in the carb body drilled out. 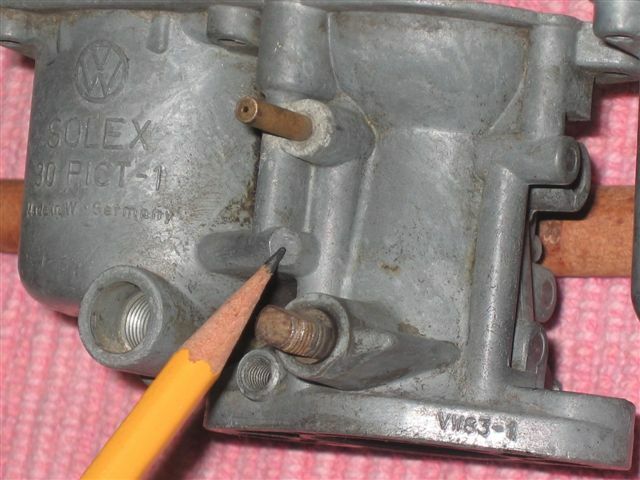 I will also note that until mid 1966, VW stamped the “modification state” number into the bowl of the carb by the fan shroud, and not on the base flange. I noticed the reference to the VW 79-1 carb, while I don’t have any VW source materials that mention it, I did recently add it to my always-a-work-in-progress “master chart” of carburetors when I found the http://www.ruddies-berlin.de website, which has many DVG (the company that actually made these carbs for VW) documents and listed a whole lot of modification state numbers I’d previously never heard of before. Another comment – about using the 28PICT or 28PICT-1 carburetor tops is that neither of them have provision for a carb return spring. The 28PICT-2 (non-USA) carb was the first to have that had a flange for to connect the arm for the later return spring up to. Also, the 28-series carbs usually have a larger “jet” in the power fuel system than the 30 series – when used with the check ball in the carb body, its delivery was limited somewhat. With no check ball on the 30 series, no check ball was needed. Of course, Bus and Ghia variants were different than on Bugs. So, should I change the VW79 entry to VW 79-1 with an Austia note? Good info, Andy! I’m sure others will chime in as well. Hello, Andy! I appreciate your valuable comments! I recognize you as one of the knowledgeable persons on the Samba Forums who passes his knowledge to the rest of us! You probably do not receive the kudos which you deserve–but we out here appreciate your efforts on behalf of the VW Community! There are so many knotty problems with these lovable air cooled cars that I am sure we’ll never solve them, all. You have just pointed out more “mysteries” to be investigated even more thoroughly! Thanks again for your insights, Andy! Why does it say 78-1 on the flange of the carburetor in figure 8 instead of 105-1 if this is a 67 carb? Jay- how do we add a photo or picture to our comments? Another amazing tutorial Jay! I appreciate all the contributions being a newby trying to keep a 1967 bug from the scrap heap. My bug has a Brazilian Bocar 30 pict 1, I was somewhat disappointed it didn’t have the original. Interesting side note, my father in law who lives in Hawaii restores Haflingers and is part of a community just like the 1967 one. He was sorting thru his Haflinger parts and came across a cool old plastic gas can that fits in the spare tire and a 30 pict 1 carburetor. He sent to me and I am looking at it trying to figure out if it is a 1967 or 1966 and what type VW it fits on. It has some marking on it. I recently acquired my very first VW Bug. A Euro 67 with a 1500. 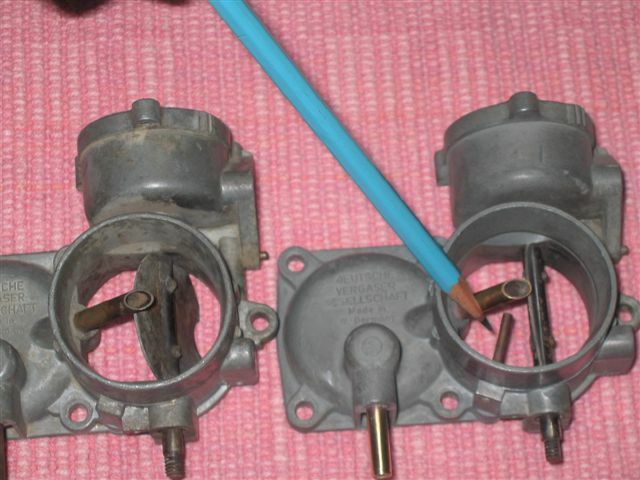 I’ve noticed that the original carb has been replaced with the Solex H30/31 Pict-1. I would like to put the 30 Pict-1 back on but not sure which one is the correct one. Did the 105-1 carb come stock on the 1500 Euro 67 ? Also, how were the Euro 67’s jetted? After being told it was a ‘euro’,I tried to find the original documentation and get the history from the previous owner. Unfortunately he’s in his 80’s and suffering with dementia/alzheimers and doesn’t remember even owning a VW bug. His son was the one who sold us the car. It had been sitting for over 5 years collecting dust. I’m going to try and get a birth certificate from Germany. My neighbor has been into the VW scene here in So. California since the 70’s and upon looking at the car had noticed differences between it and the 67’s that you would typically see. From memory, some of the differences he pointed out are are sloping headlights, locking steering column, different interior door handles, no emergency flashers or back up lights, thin chrome trim/mouldings, different hubcaps and driver’s side mirror, 4-lug wheels with power dics brakes in the front, 6v wiring. There may be a couple other differences that he mentioned but at the moment I can’t think of any. Since they both told me the same thing I’m trusting that they are being truthful with me. Honestly, pretty excited about it! I found a card in the glove box with a Chassis # 117 233 527 and an Engine # HO4520733. Since it is a 6v, will that make parts even harder to find? Hello again, Russ—Yes…this does sound exciting. Not many here in the USA. Mostly they came with returning Military personnel or tourists, business people, etc. 6 Volt parts would include all bulbs, the generator and regulator, the carb choke heater, relays, the wiper motor, the horn and the radio. I think that most switches don’t care whether it is 6 or 12 volts. If it still is 6 volted, good. Most stuff prob. is okay. There’s a good supply of most 6 volt parts. Is there a VW1500 script on the decklid? There were 1300cc and 1200cc ’67 Beetles as well. It was a different marketplace in Europe and elsewhere. The sunroof is a real jewel to add to the car! That really adds to the value. Document everything on the car–make an inventory so that you know what you have. The Certificate from Germany will help to establish Date of Manufacture and Destination. Lots of good info on this website!